For manatees near Sebastian and Vero Beach, it is the season when they leave their winter refuges and travel along the Atlantic and through inland waters. 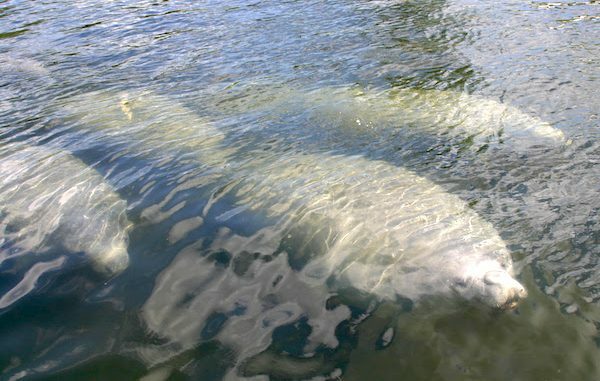 SEBASTIAN – The Florida Fish and Wildlife Conservation Commission (FWC) is reminding boaters to look out for manatees in areas of Sebastian, Micco, and Vero Beach. Chances of close encounters between manatees and boaters increase in the spring. For manatees, it is the season when they leave their winter refuges and travel along the Atlantic and through inland waters near Sebastian and Vero Beach. For boaters, it is a critical time to be on the lookout for manatees to avoid colliding with these large aquatic mammals. From April 1 through Nov. 15, seasonal manatee zones require boaters to slow down in certain areas to prevent manatees from being struck by motorboats or personal watercrafts. FWC law enforcement officers are on patrol in state waters to remind boaters of the seasonal manatee speed zones and take enforcement actions when appropriate. FWC biologists, managers, and law enforcement staff work closely with partners to evaluate current data and identify necessary actions to protect this iconic animal. Florida has invested over $2 million annually for manatee conservation, and the FWC works toward continued success for manatees in our state.